Ridgecrest Golf Club - Idaho golf at it's best! Cost is $200 per team. Become a Ridgecrest Golf Club Insider! 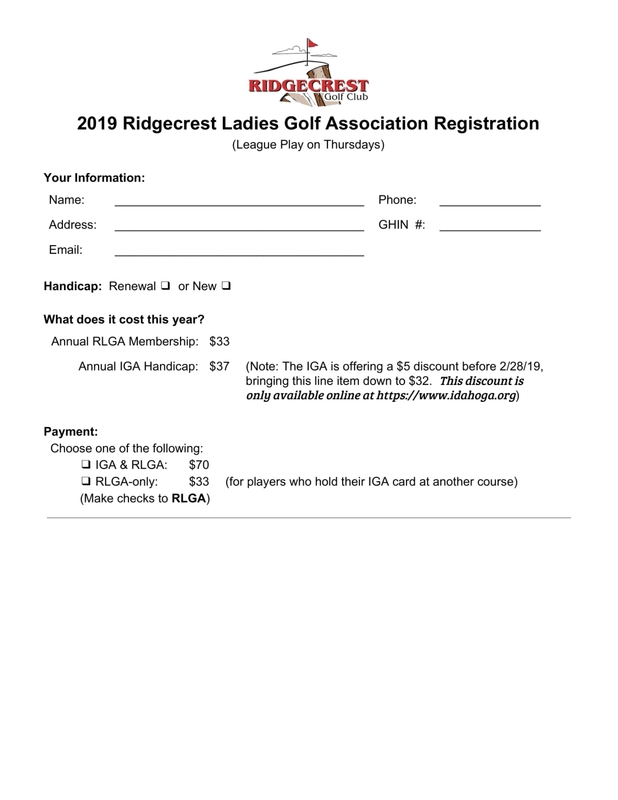 Get the latest news and specials from Ridgecrest Golf Club. Don't miss out!